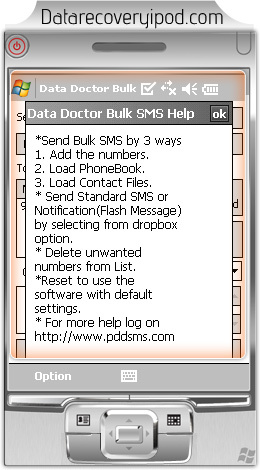 Select any option for sending bulk SMS by pocket PC device. 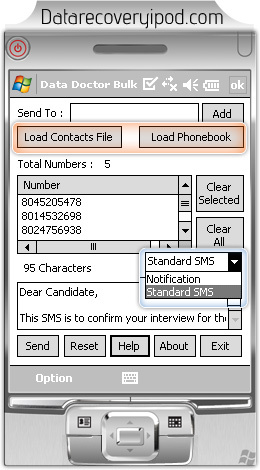 Click on “Load Contacts File” or “Load Phonebook” to send bulk SMS. 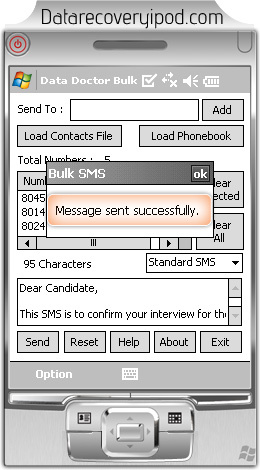 Wizard shows confirmation messages that your message is sent successfully.